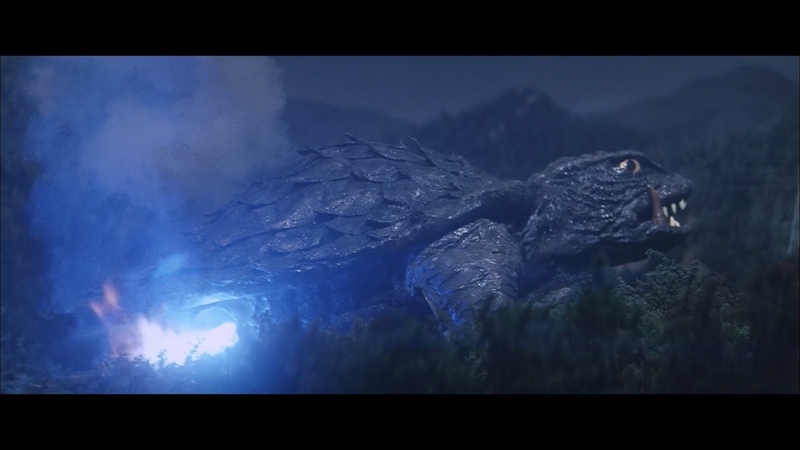 Earthquakes and lava flows introduce this third entry in the Showa Gamera series, enough reason for Daei’s radioactively charged turtle to show up and pounce on an erupting volcano. After all, he eats said lava and fire. It’s a spicy diet. 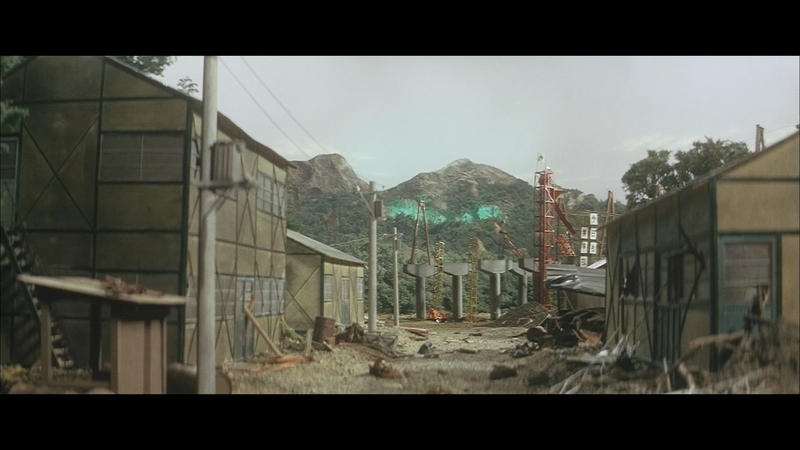 As Gamera feeds, some construction workers stumble upon a green light source mountainside, certainly a sign of trouble in any film of this ilk. 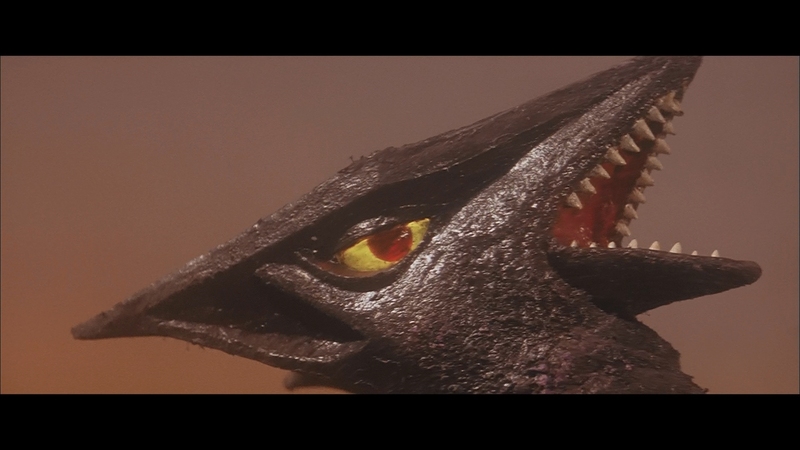 Soon, Gaos (sometimes Gyaos depending on the translation) sprouts his wings to interrupt the roadway planning, if not writer Nisan Takahashi’s slender allegory of human greed. 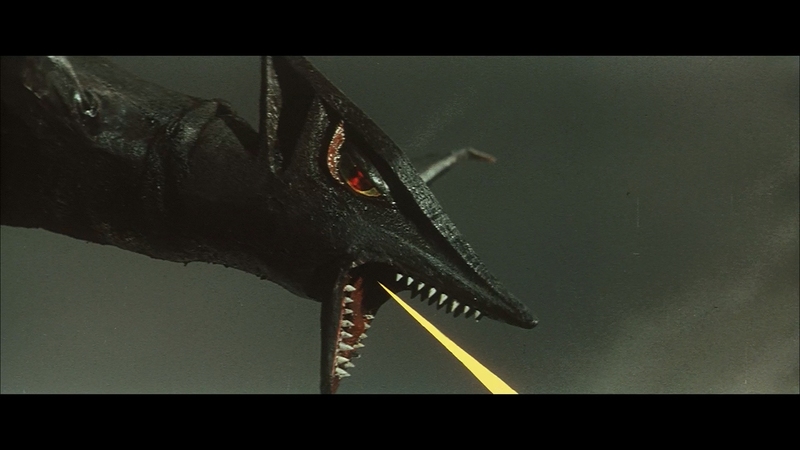 This would be the final considerable Gamera film of the ’60s/70s series, even if sweeping changes are already inbound. 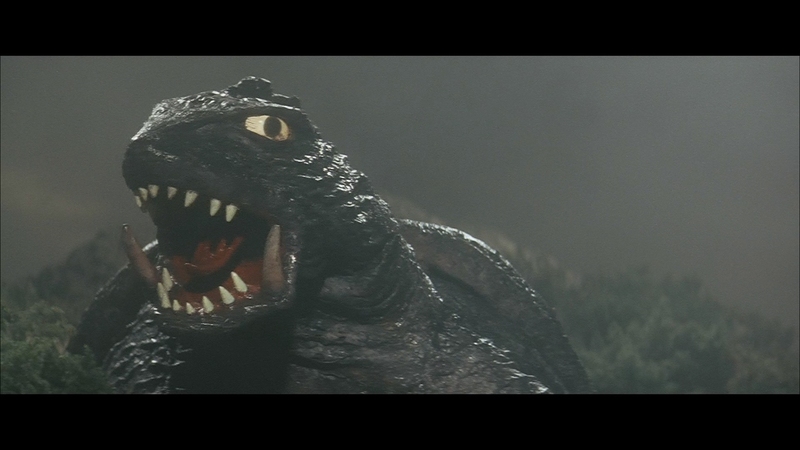 Alterations to Gamera himself produce this pudgier design without the meanness apparent in the eyes one entry prior. Kids will cheer. 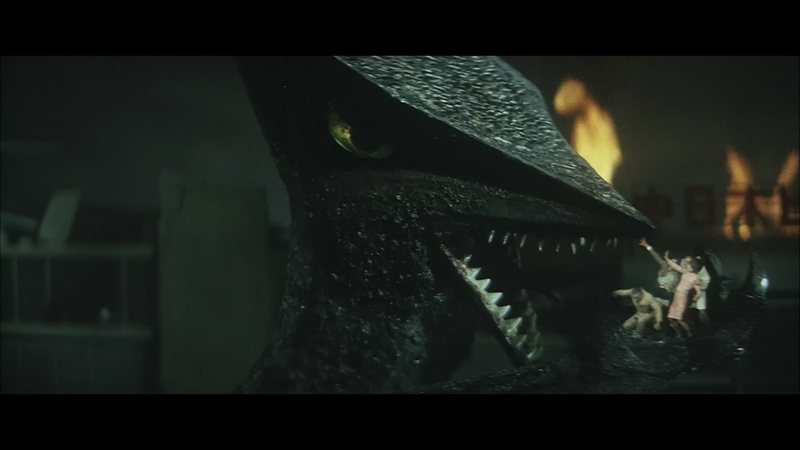 His bat-like adversary Gaos mixes up pointed plastics and charred rubber for it design, suitably eerie to induce the feeling of villainy (as if his penchant for directly munching on Japanese folk wasn’t enough) and become the hallmark opposition when Gamera was rebooted in the ’90s. Gone is any attention paid to adult audiences. 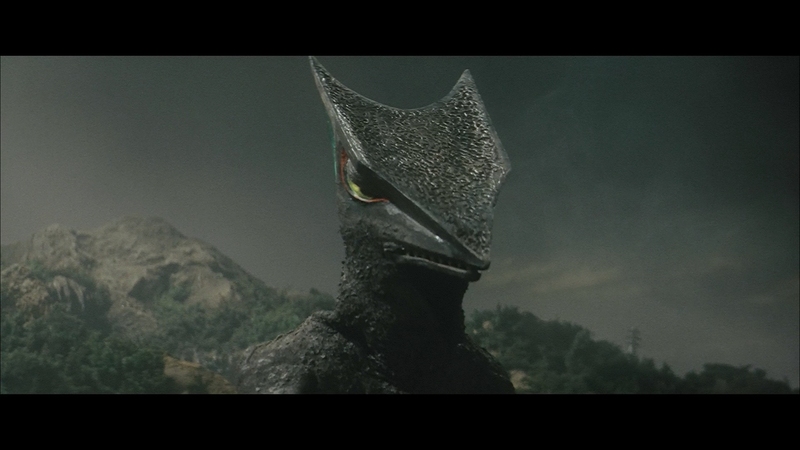 Gamera vs Gaos is wonky and weird as a stand alone, if dwarfed by the outlandish absurdity to come. 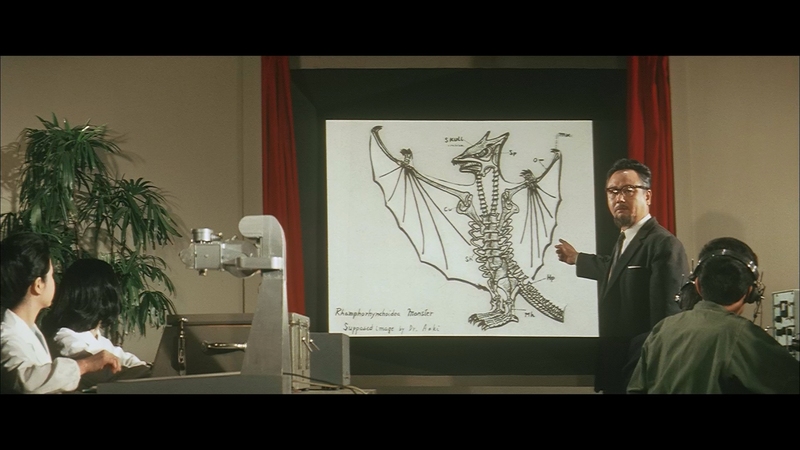 Government officials and scientists pick the brain of a screechy kid Eiichi (Naoyuki Abe) for solutions to their bat/lizard/bird problem. As such, a plot is formed to lure Gaos toward a gimmicky rotating hotel loaded with artificial blood. Spin the bat, dizzy it, and kill it with UV loaded sun light. 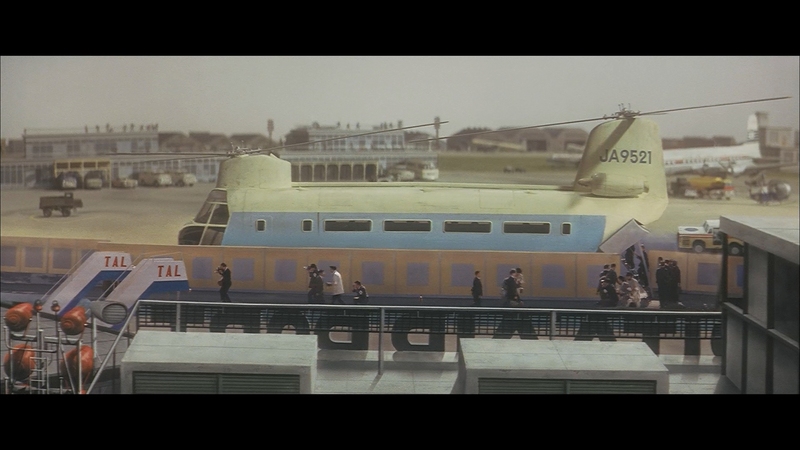 Amongst Showa Gamera plotlines, this one comes across as stupid but strangely logical in the soon-to-be ‘anything goes’ and budget strapped scripting. Enormous flying turtle fans are shut out again, if not to the extremes of Barugon. Excluding an introductory dip in volcanic magma, the heroic, prehistoric entity only shows up twice. Who can blame him? 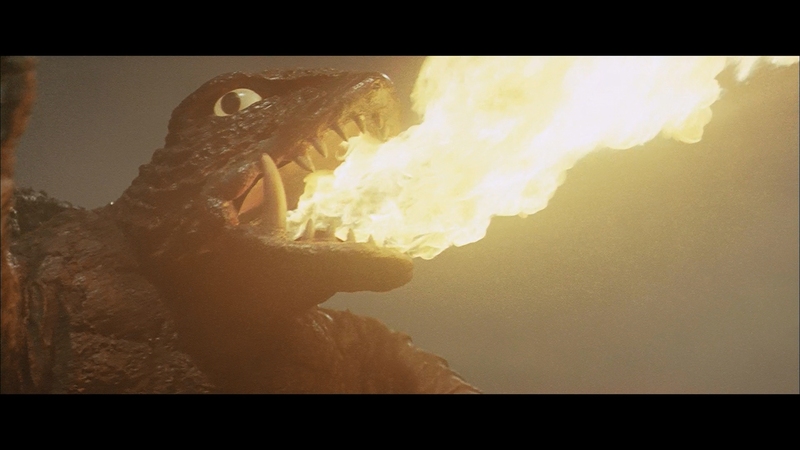 Gaos splits open Gamera’s arm with a slicing beam, spewing green blood in an odd, inappropriate twist of violence. Even monster appendages are ripped off in these scuffles. Human cast members only stare on in awe. 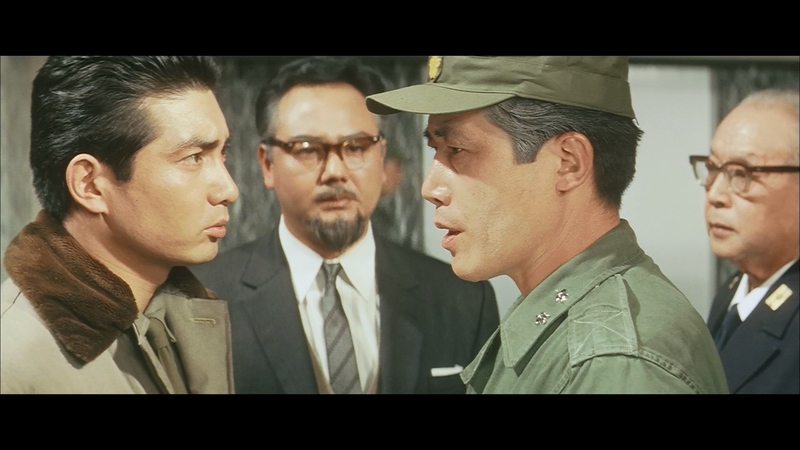 except for Gamera regular Kojiro Hongo as a construction foreman, inexplicably involved in military and government plans as danger rises. 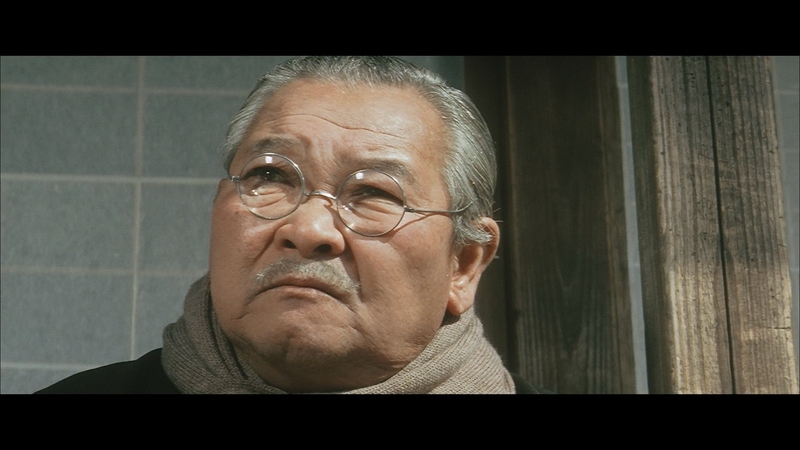 Kurosawa regular Kichijiro Ueda stands firm as Eiichi’s grandfather and aging director over his pithy village. 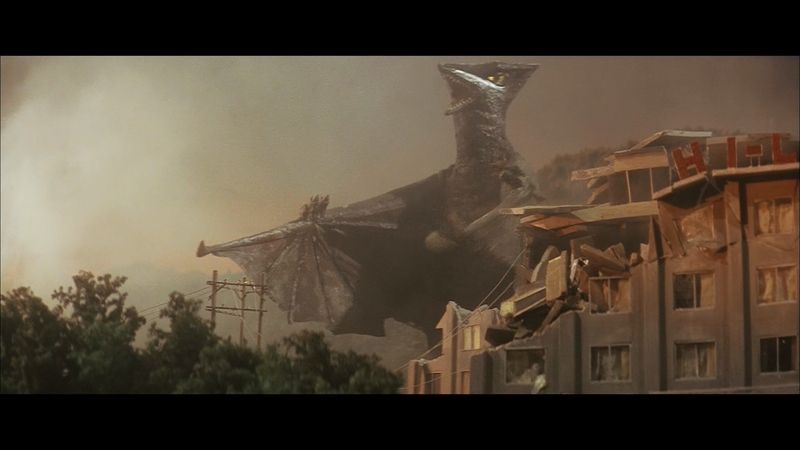 Everyone’s purpose is swept away by either exposition or miniature destruction, certainly reason enough for celebration amongst Japanese kaiju lovers. Gaos is unreasonably silly, if wholly invested with the enjoyable weirdness of Daei’s untethered innovation. Mill Creek plops the entire Showa Gamera series on two volumes, one disc each. As such, the resulting transfers are crushed by overwrought compression, creating buzzing grain which never leaves the frame. Intense action sprouts areas of patchy mosquito noise and kicked up smoke (or Gaos’ ability to spray fire with a soaking mist) levels image fidelity. Gaos has always stood as a brighter entry. Ancient and outmoded 16mm TV prints exhibited color fading which could often render some shots involuntarily pale. Even in remastered form, some of those qualities are retained. Contrast spreads splotches of white across the frame when under natural light with a binge on yellows, and that has always been Gaos’ look. Some hard edges begin to crop up during early scenes before disappearing without a bother. Given the quality of this mastering work, it’s doubtful those few dark halos are a sign of tampering. Resolution is firm and while squinting, it’s possible to see definition behind the artifacts. 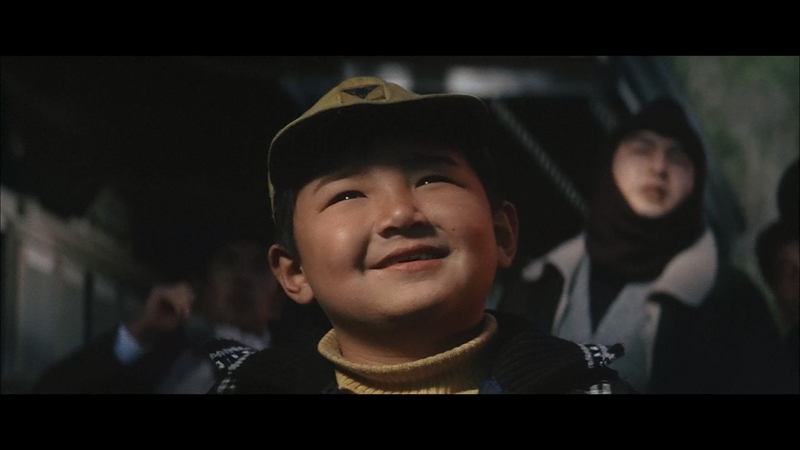 Some close-ups display an enormous jump from Shout’s DVD release but this is squandered by sluggish bitrates when the camera sits back. Chronologically thinking however, Gaos is the least offended by single digit codec counts. The bleach heavy contrast and typically bright setting hides the fault well. Japanese Dolby Digital (with sometimes suspect subtitles) is sufficient only as a delivery mechanism, but otherwise chomps on Tadashi Yamauchi’s score, his final compositions for the series. Horns are whittled down without clarity, both from the waning source and compressed codec. Drums are nearly lost to murkiness. There is one instance of audio skip near the midsection, although this appears to be more of an editing flub than that of the mastering process. Dialog is blandly fuzzy without loss of clarity. Intense action is managed well to preserve the wildness of the monster roars, stock Daei explosions, and yes, dialog as needed. No extras as the disc is overstuffed with three other films.